Since this August 15th, people started to report Uber China drivers were cheating in this platform by accept the car order and quickly finished this order which charged the passengers a few bucks in less than a few minutes. Most of the people believed that these drivers were just trying to defraud some money, but as I dug in, some horrible facts emerged from the water. Caution: This story may contain pictures which could make you uncomfortable. 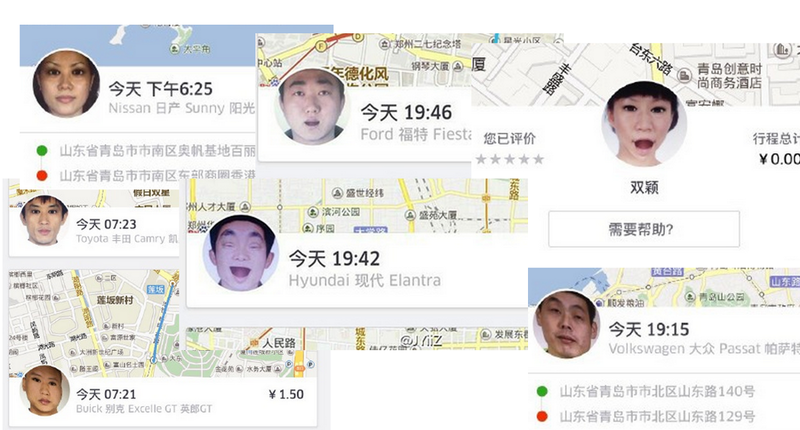 “Ghost Uber Cars in Tsingtao: no ride but charged, also very horrific Avatar. not real man picture but re-captured from phones. 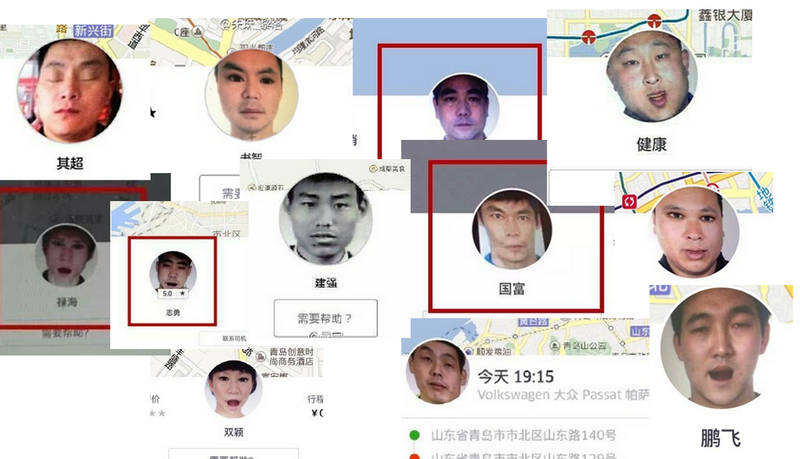 FYI, Uber China has a loose examination of Uber Driver applications. 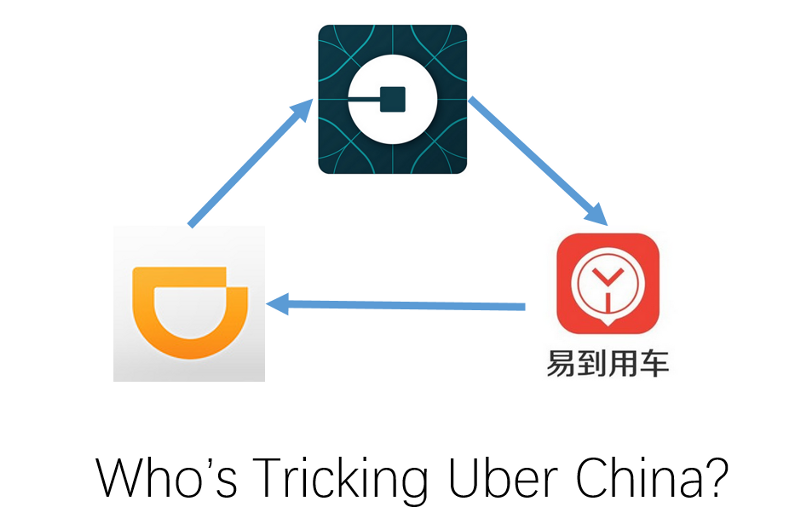 With the fake phone number, fake car number, stolen ID cards, you can register a Uber China account too. Those drivers who disguised themselves as real men successfully fooled Uber system and its employees. And to the passengers’ description, those Ghost Drivers drove their cars just like real drivers. Ghost Drivers first pretend to pick up the passengers and click the “I have picked them up” button, then quickly drove to the destination and finished the order. Without knowing anything, the passengers were charged for a few bucks. To the first thought, there is an underground team trying to defraud passengers’ money. That’s reasonable. However, Uber gets its strict rules to Uber Drivers. If a driver did fraud twice, he would permanently abolish from driving in Uber. Clearly, those Ghost Drivers would be canceled their membership…only if the passenger submits a complaint. Anyway, doing a defraud is a high-risk behavior to drivers. If caught by the system, they won’t get the money too. As reported in Weibo.com, passengers were mainly charged for 8 or 10 RMB for one order. Those Ghost Drivers were cheating for just 20 RMB? That’s not reasonable! And according to Uber China employees in Douban.com, those Ghost Drivers have no debt cards bounded which mean even if they cheated some money, no one’s getting the money but…but the money deposited in Uber China bank account. Those Ghost Uber Drivers did two terrible things to passengers: 1. disturbed Uber user’s trip scheme by quick finish and charge an order; 2. scary pictures frightened Uber users. Suspicion 2: When Didi and Uber China finish their acquisition, the Company would hold over 95% of Share economy car market which forms a Market Monopoly. I suspected Video Yongche, the third-rank Uber-like startup is trying to grab some market shares. But according to my observation, people are rushing into Didi Chuxing, no matter drivers or passengers. Suspicion 3: Could it be Didi? As Didi and Uber reached an agreement in late July, their deal would be finished soon but closely watched by Chinese Government. Decades ago, Coca-cola tried to acquire China’s largest Juice company Huiyuan but failed for the reason Monopoly. If the acquisition failed, would it be good for Didi? Yes! If the deal failed for the political reason which should be written in the Force Majeure Term, Didi wouldn’t pay for anything to drove Uber out of China. At this point, Didi would get more drivers in its platform and see Uber China die sooner or later. Till now, no one’s coming out to admit it is their behavior.